If you have a cell phone then there is a good chance that you can find some way to track it for free. There are dozens of apps across all sorts of platforms that are going to enable you to either track your own cell phone remotely or give you the opportunity to share your location with friends and family in a social way. Some of these apps will have built in lost cell phone detection while others will not. Still more will make it easy for you to view the location of your cell phone or your friend’s phone through some sort of online interface. All this has made free GPS cell phone tracking a reality that more and more people are taking advantage of as they seek to get the most out of their mobile devices. Are you one of them? In this article we hope to outline how this technology works by giving a brief overview of GPS tracking technology, cell phones, and how they work together. Then we will go into some of the various free GPS cell phone trackers that are available for some of the major cell phone platforms. These will include the Android, iPhone, BlackBerry, and Windows cell phone operating systems. This will be followed by a discussion of the various multi-platform trackers. Finally, we will look at the future of free cell phone tracking and see what the future will hold for us. The essentials of GPS cell phone tracking are really quite simple. There is a built in GPS receiver in the cell phone which is able to get the phones exact location from the satellites that orbit the globe. Through a simple mathematical principle called trilateration the computer on the cell phone is able to take the data gathered from the signals of three different Global Positioning System Satellites (GPS) and turn that into information that includes the latitude and longitude of the phone. In order for this data to be used to be able to track the cell phone there has to be some way for the cell phone to tell other people – other devices, really – where it is. This is where the cell phone comes into play. It is obvious that cell phones transmit data, though we probably never really think about it like that very much. They send out the digital signal that encases your voice when making a phone call. Now 3G networks can transmit lots of other digital data as well. This data can include text (SMS) messages, emails, videos, webpages, files, and a whole lot more. Most free trackers essentially use SMS messaging to transmit the latitude and longitude data that the GPS has calculated over the cell phone network to turn these devices into GPS tracking machines. The cell phone can now act as either a real time GPS tracker or just a simple data logger depending on the specific app and what the person wants to do with the information. A cell phone has arguably become the most powerful GPS tracking device on in the world. But is free GPS cell phone tracking really free? This is certainly a valid question. For the privilege of having a data plan that enables the cell phone to act as a GPS tracker you generally have to pay some sort of fee to your cell phone carrier. In my case (Verizon unlimited plan) this is going to cost you an extra $30 a month. For AT&T it will run you an extra $25 a month, but this plan in not unlimited any more. Sprint’s unlimited data plan costs you $20. T-Mobile has an unlimited data plan that also runs $30 a month. Now lets take a look at exactly what free GPS cell phone trackers are out there for you depending on what operating system you use. More than just a GPS cell phone tracker tracker, Lookout Mobile Security is a multi-platform security system for your mobile phone. It features a malware and spyware detection system that will help you determine what apps you should be downloading to your phone and what apps you are going to be leaving on the way side. It even helps you manage your various apps so that you can make sure that your private data remains private. This feature by itself is incredibly useful, but when it is combined with GPS tracking, data backup, remote log in, and data wipe you really do have a complete security system for your phone. What is most interesting is the way that all the systems work together in sync. For example, imagine that you have lost your cell phone. Big bummer. But never fear, Look Out Mobile Security is here. Simply go to the website and find out exactly where your phone is using the GPS built into your phone. Is it in your house somewhere? Great – you’ve already looked everywhere but can’t find it. Use Lookout Mobile Security to make your cell phone scream! Even in silent mode, activating this command will turn your cell phone into a loud siren that will definitely uncover your cell phone. Pintail is a very interesting app. Download it to your phone an you automatically have a GPS tracker for a cell phone that you can use to pinpoint the location of a lost or stolen cell phone. Simply send a text message (SMS) to your cell phone and you will be sent a message that will require you to enter a pin code to view the location information of phone. Once you have entered this data you can know where your cell phone is. Simple and easy. It can also be used as a way to stay in touch with family or friends. Just give them your pin code and they can text the phone to find out where you are too. This can be a great way for friends to meet up or for a loved one to check in and see where you are at if you are on a really long drive traveling by truck across country. 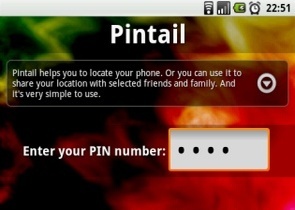 Everything is pin protected so you can change who has access to your location simply by changing your pin. Did you give your pin to a girl that you are now broken up with? Fear that she is stalking you? Simply change your pin and she will not be able to stalk you anymore. Like I said, simple and easy. Billed as a family tracking app for Android cell phones, the Eye app is another one of those GPS tracking apps that uses the GPS in your phone to turn it into a mobile tracking device that will make your position known to all your friends – much like Google Latitude and other social tracking applications. The app uses Google Maps technology to give you the position of your contacts in real time on maps that utilize images taken from satellites in order to give you a graphic understanding of where they are. You can also use the basic map interface too if all that green makes you go bonkers. They also claim that adding contacts is easy and will work off of your existing contact list. If you want your latest BFF to know where you are at all times just them then an invitation to join the Eye App and you will be well on your way to sharing your location with your friend. They can even use Street View to get a better grip on the house where the party is at! The Eye app also features bread crumbing, allowing watchful parents to track the movements of their children over the course of the day – something that a lot of other social GPS tracking apps fail to do. Bread crumbing is important because it helps you verify the story of a troubled teen or locate a missing child. Either way, its a useful feature and kudos for the people at the The Eye for including it in this tracking app. Are you self employed or a business owner? Do you use your car regularly for work related activity in a capacity that would enable you to deduct this expense from your tax return? If you answered yes to both these questions then you should seriously consider getting automilez. This free cell phone tracker is designed to help people such as these easily track their mileage so that they can maximize every deduction possible come tax time. Apparently, even regular Joe’s like you and me can use an app like this to log our mileage for deductions at the end of the year. Medical and moving trips we can deduct $0.165 a mile. For charitable trips we can deduct $0.14 a mile. I guess you learn something new everyday. While it is obvious that this app has a limited roll as a free tracker it is useful. Just be warned that you are not going to be able to share your current position with anyone or recover a lost cell phone with this app. GPS-Logger is simple GPS tracker created by iMasterofDesaster that is designed for travelers that have a digital camera in tow that does not currently have a GPS built in to it. The way it works is simple. The iPhone acts as the GPS by going through the process of trilateration and stores the position data with a time stamp on it. During the trip the digital camera takes photos and then time stamps those photos. The GPS-Logger software then does some fancy code work and places a GPS stamp on the photos by taking the nearest time stamped location from the GPS and slapping it on the photo. This seems to be pretty standard fare for travel GPS data loggers. Another example of this type of technology is the i-Gotu GT-600. But that device is not a mobile phone, it is just a stand alone personal GPS tracker. Instamapper is one of the most powerful and free GPS cell phone tracking apps out on the market. They only ask that your register an account using a valid email address. For this pittance, you get to turn your cell phone into a real-time GPS tracking device at no extra cost to you. The phone will periodically send its position to the Instamapper services which makes 30 days worth of tracking information available to its users. This amount of tracking is equivalent to nearly 100,000 specific locations for a single device. User’s can share their data with a loved one by sending out a link to a map of their data hosted on the Instamapper website. This link can go either to a computer or to another mobile device. If users feel really safe about sharing their position information with the world, they can even embed a map on a website, a blog, or even Facebook. While it probably is not the best idea in the world to share your position on Facebook – especially if you are a teenage girl – it is pretty cool that you could do this if you wanted/needed to. This tracking app even has position buffering so if you hit a dead zone in your coverage the phone can store up to 100 waypoints so that the track log can be brought up to speed once you get back inside your cell phone carrier’s network. Of course 100 way points is not very long (over 8 minutes at one waypoint every 5 seconds), but it will help in those odd dead zones that line urban, semi-urban, and semi-country areas. Overall, this is a very powerful real time GPS tracking app that can be used in a wide variety of applications by many different people. 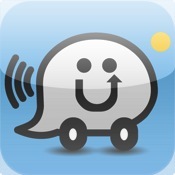 For those that could not see the video, Waze is essentially a real time tracking community with a purpose. That purpose is to provide the very best real time traffic data for Waze users. This is not a sport tracker. It is not a data logger. It is not even a social tracking app. Its only purpose is to get people around in as little time as possible. With that being said, it relies solely on the efforts of its users to make the app work. Users build the map, report traffic congestion, and share traffic related material with other users. If you have a small or nonexistent community in your local this free GPS cell phone tracking app is probably not going to do you much good no matter how cool it looks. BlipPlus is an application created for use on BlackBerry smartphones and is designed as a social tracking application for those with GPS enabled phones. They have a feature on the app called Share Your Where that enables you to broadcast your location to anyone within your social network as defined by the app. There are all sorts of benefits that can be gleaned by using this sort of application. You can meet with your friends with greater ease. You don’t even have to tell them where you are, just say look up my location using Google Maps or something like that. It can even be used to stay in sync with work associates who need to know when you are speaking with a certain client, etc. Families also benefit because knowing where the whole family is can increase safety, make things more efficient, and give everyone some peace of mind. BlipPlus offer assistance by letting others choose how and when to contact you based upon you location data that you share with them. Efficiency is key when it comes to location information and this free cell phone tracker will help friends, family, and co-workers be exactly that. 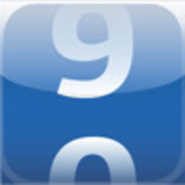 GPSLogger is a essentially just that – a GPS logging application for the BlackBerry. It will record such information as your elevation, speed, and location over time. All of these are essential components to all personal tracking devices and applications, making ideal for people who like to record hikes, adventures, or trips in the car (for business or pleasure). This free app will also let you use previously recorded or manually entered way-points as a way to remember where a parked car is or to point out an interesting Geocache. They call it the “Guide Me Home” feature and this is pretty standard fare for almost every data logging GPS tracker that has an interface on the tracking device itself. You can even use it to remember where a sweat restaurant is or the place you meet a beautiful woman. Because all GPS loggers can be used as a sports tracker as well, the developers of this app have added a lap timer element to it as well, making this a full featured, if predictable, position logging app. 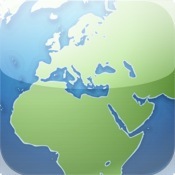 GPS Trackdown is a social tracking app that with a slight twist. If you choose to share your location with your Trackdown compatriots then you also have the ability to find get directions to their exact location. Did they move form the spot they were at five minutes ago? Just update their location and the turn-by-turn directions update as well. Pretty cool. Other than that it is pretty standard location based search with ads that make the developers some nice coin. You can search for pizza, ATMs, hotels, and more with no real need to tell a search engine where you are since all searches already know your current location. This is generally useful, but can get pretty annoying sometimes if you ask me. Another interesting thing about this is that you can only share your location by text, email, or tweet. No link posting on websites like Facebook or MySpace. This is certainly okay, but some people may find this a little off setting. And, of course, this GPS cell phone tracking is free – which makes it way better than if you had to pay to use it. WhereAreYou is the tracking app for all those people who want to secretly track the cell phone of a spouse, boyfriend, girlfriend, or child. It runs “silently” in the background with no way for the person being tracking to tell that something is on their phone broadcasting the location to the person that set it up. The app will track things silently – this means that no user interaction or application icon is going to visible at all on the BlackBerry. This means that you can track secretly without them knowing. You just have to get the phone and do the installation for them. This app certainly has applications in the business world, but it also can be used by private citizens to track a teenager or to catch a cheating spouse. Before you start tracking someone, please check to make sure that it would be legal in your area to do so. GPS Fox Hunt is definitely an interesting take on the free GPS cell phone tracking app. It takes a cell phone’s ability to track itself and share that information with other cell phones and turns it into a game where each phone becomes a piece in a game. Social tracking has simply been taken to one of the many different possibilities available to it. The game essentially is a version of hide and seek. There is one phone that is it – this is the fox. All other players in the game are trying to find the one phone that is it. They get to see how far away from you they are which can be useful because they can tell if they are heading in the right direction or not. This game would be fun to play inside a shopping mall or some other public place with lots of people to “hide” among. It could also be fun out in the wilderness somewhere too – but you have to have connection with your cell phone tower for that. While the idea is interesting and exciting this particular app doesn’t seem to have the favor of users on the BlackBerry Appworld website. It only has a few reviews and has only been around for a few months, so this is likely to change given that new releases of free products and have some kinks that need to be ironed out. But in all this is a pretty cool idea for an app and I hope that things work out for the developer and it makes it big. It seems really strange to be including Windows Mobile phones in this list of free cell phone tracking apps, but here it is. Windows Mobile is certainly trying to keep pace with the likes of iPhone, Android, and BlackBerry. With the release of Windows Mobile 7 they may be on the right track to getting back into the fray, but it could also be too little too late to be a major player. I doubt that Windows will ever go away completely, they just probably won’t be the market giants that they are on PC. That will almost certainly go to either Android or iPhone – but perhaps I am too young to see the usefulness of Windows. Unfortunately, we could not use the Windows App Store to find any free GPS cell phone tracking apps. If you have any suggestions please use the contact form linked to at the bottom of this post to alert us to some of the Windows Mobile apps available. This is a powerful GPS tracking application for cell phones that is available on lots of platforms. Right now, it is available on Android, iPhone, and BlackBerry phones (we talked about it under the iPhone section). There are some restrictions for BlackBerry phones – like it doesn’t work on Verizon, lame. 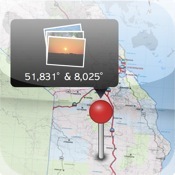 But by far the coolest thing about the Instamapper software is that it works on Boost Mobile phones. You can buy a really cheap iDen phone for under $50 and then get a data plan that could run you around $0.35 a day. Hard wire the sucker to the battery of your car and you have a real time GPS cell phone tracking system for your car. This works great for teen drivers, cheating spouses, and theft prevention. They even have instructions on how to do it all on their website. 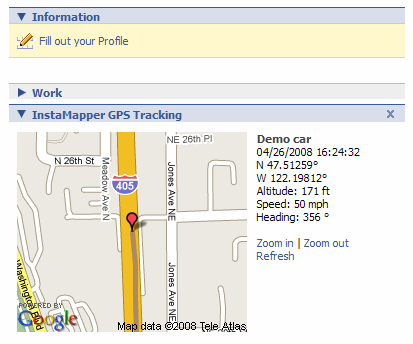 Instamapper is definitely the way to go for a DIY, free GPS cell phone tracking solution. We talked about this one under the iPhone heading, but it is another one of those apps that is designed to be used by lots of other cell phone operating system. It works on iPhone, Android, Windows Mobile, and Symbian mobile phones. They have even made an effort to get this application on the BlackBerry by just releasing an app for this cell phone brand that is still in Beta. As a result it really on works on the Bold 9700, Curve 8900, Bold 9000, and Tour 9360. You won’t get the world with this app as it really is only designed to use GPS tracking to create excellent, real time traffic data and it relies exclusively on the efforts of its users to make the app work. But it really is a great concept and it might just work as planned if not overshadowed by Google Navigate which tries to do the same thing. Who knows, maybe Waze will get bought out by the internet giant before all is said and done. Google Latitude is one of the premier social tracking apps available right now. There are a few different reasons for this. The first is that it is created by Google. Google already has a huge user base for everything that it does. Maps and Navigate a huge apps that work of the same framework as Latitude and already have a huge buy in from lots of mobile phone users. Their free cell phone tracker is certainly going to benefit from this market position. The app is also available on a huge number of platforms. We didn’t even include it in one of the mobile phone operating system categories because it is available on Android, iPhone (and iPad), BlackBerry, Windows Mobile, Symbian S60, and most Sony Ericsson devices. Because it is available on so many different platforms it is widely used – boasting 9 million users. That is more than any other GPS tracking app by far. There are some significant weaknesses to the whole Latitude idea. For example, all tracking is constant and done in the background. While this is great for families or other close knit groups it really doesn’t work to well with friends, work buddies, or acquaintances. There is also not much to actually DO with Latitude other than broadcast your location and see where other people are at. Great for families and possibly for business, but not that fun otherwise. This app has a strong base and could be something great. Possibly. We learned about Lookout Mobile Security with the rest of the free Android GPS cell phone trackers, but it is available on Windows phones and the BlackBerry. This is a very powerful app for the security conscious and should be downloaded without the slightest bit of hesitation. There is a difference between the free app and the pay app, so don’t expect the moon. You still get a lot with the free app, its just not the whole shooting match. This make sense because the company has to make some money on it, but with 2 million users in 170 countries you have to expect that at least some of them are paying the 2.99 for the premium service. If just 30% are paying customer then the folks behind the app are making nearly $2 million a month. Wowza. That is a lot of money. A run of the mill social tracking application I am not sure why you would use this app unless you have lots of friends who are already using it. It was mentioned under our BlackBerry section but it is also available on the iPhone. Where are all these free cell phone trackers pointing? I think that what all this is leading up to is a world where location based information is going to be widely available and consumed by consumer and business alike. People are already beginning to share their location more with each other and businesses are starting to use location based targeting in ads they deliver to customers. Companies like Google, Palm, and others are poised to make lots of money if this type of advertising is going to be as effective as some think it will be. Coarse location based targeting is already available on the web and seems to be fairly effective at reaching the intended audience. It is only a matter of time before it becomes the main way to deliver ads to consumers. There are also increasing concerns about cell phone tracking in the legal world. Who can track whom? In what contexts is this tracking legal and in what contexts is it illegal? When does tracking become stalking? All these questions are beginning to be answered in the courts and this will have an impact on how this technology is going to be used going forward. I can imagine one case making mobile phone tracking too dangerous for any company to touch is a ten foot pole, but we shall see how all this plays out. For now anyway, GPS cell phone trackers are going to on the rise as more and more people realize that these can be extremely useful applications that will enhance the usefulness of their phones and make their lives more interesting. They can also let their users know information that would have otherwise not have been available to them. Cell phone tracking is too powerful a technology for people to ignore. Have a free GPS cell phone tracker or know of a great one that we didn’t include? Let us know about it through our suggestion form. We’d love to hear about more free content for our users.